If you have been involved in an accident, it is important to receive an examination right away, as common car accident injury types can take several days to show symptoms. The team at Oakview Chiropractic Center in Omaha, NE realizes that you may feel fine after a car accident with only some small bumps and bruises. Even in such instances, we recommend an examination because, in addition to symptoms that do not appear right away, your body may now be in misalignment, a situation that can cause further problems if not corrected. If you have been involved in an accident, call us today to schedule an examination. 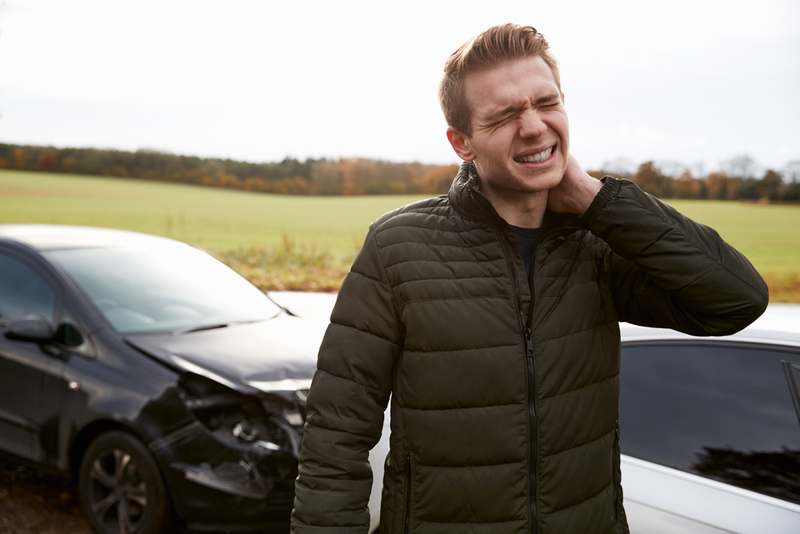 Whiplash and other injuries to the neck and soft tissue areas of the body are some of the most common car injury types that our patients experience. Upper back pain, misalignment of the spine, neck, and pelvis, and soft tissue injuries are some of the most common auto accident-related conditions that we treat. Whiplash is always a concern when a patient has been involved in an accident because you may initially feel fine only to wake up a few days later in excruciating pain. These injuries can also cause further problems if they are not addressed and corrected in a timely manner. Your Omaha Chiropractor is Here to Help! Dr. Steven Shockley is dedicated to treating his patients in a holistic manner, and the entire team at Oakview Chiropractic understands the frustration that can accompany any injury, especially those from an auto accident. After conducting a thorough examination and reviewing the symptoms with you, we will begin your course of treatment. The first important step is to ensure that your body is back in proper alignment as soon as possible. Once that has been accomplished we can focus on soft tissue injuries and repair and healing of torn muscles and ligaments. In addition to chiropractic care, we also offer massage therapy that is another effective treatment modality that many patients find beneficial. Strengthening exercises and targeted stretches can help your body support the spine and also reduce the likelihood of re-injury or lingering pain in that area of your body. Many injuries that occur in auto accidents do not show symptoms right away, making it important to receive an exam even if you feel okay. If you have recently been involved in a car accident, call our office today at (402) 334-0840 to schedule an appointment. Oakview Chiropractic is conveniently located at 16901 Wright Plaza in Omaha, NE.